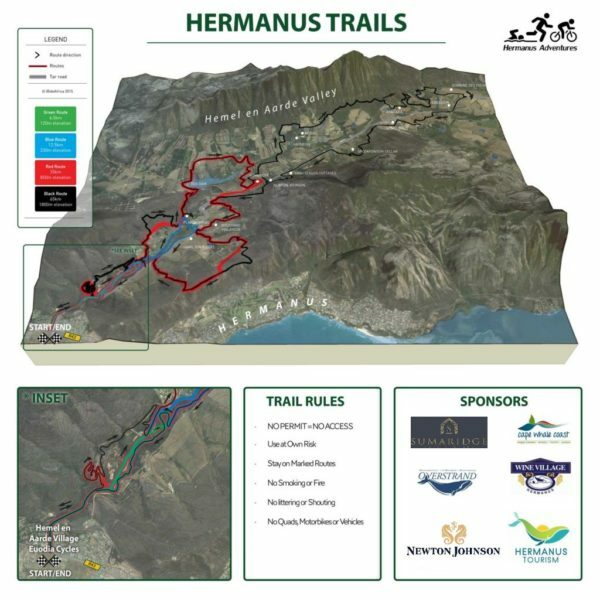 Starting at the Hemel-en-Aarde Village, five different routes will take you deep into the Hemel-en-Aarde Valley where beautiful views are only a part of the enjoyment. Each track has its own difficulty and will cater for every class and style of mountain biker. From river meanders to vineyard and some stunning views over Hermanus and the Overstrand. REMEMBER, NO PERMIT, NO RIDE!